Over a billion people around the world have began celebrating the Chinese Lunar New Year and the start of the Year of the Pig. 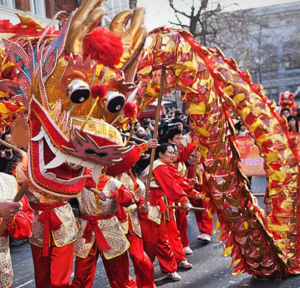 The Spring Festival, the lunar New Year is celebrated by countries across Asia. 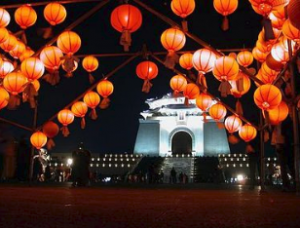 Red lanterns, fireworks, special clothing and plenty of food will mark the occasion. The Pig is one of the 12 signs of the Chinese Zodiac, is believed to be a symbol of optimism, enthusiasm and hard work. The first day of the Chinese New Year begins on the new moon that appears between 21 January and 20 February Triggering the Year of the Pig on Tuesday 5 February . The festival was a time to honour deities as well as ancestors and giving money in red paper envelopes to include good fortune, happiness, wealth and longevity. A Lantern festival concludes the celebration of the Chinese New Year. The roots of the Lantern festival goes back to 2000 years linked to the reing of Emperor Ming of Han at the time when Buddhism was growing in China.